One of the most frequently overlooked opportunities for good advocacy in mediation is the drafting of the mediation brief. Sadly, many barristers prepare the mediation brief at the last moment without much thought, or worse, assign the task to an associate lawyer or to a clerk, neither of whom may know the subtleties of the case, the negotiating style of the opposing lawyer or the history of off the record negotiations. In the result, the mediation brief as delivered is a sterilized pro form document devoid of any persuasive content. It has long been my observation that many lawyers draft the mediation brief under the mistaken belief that it is good advocacy to reveal little beyond the pleadings. The approach appears to be modelled on the strategy of a good poker player: don’t reveal your hand until it is necessary to do so. The thinking may also be based on the notion that until the parties are face to face in the mediation room, and until they have engaged in the offer exchange, there is no need to disclose anything that might reveal settlement goals. For the mediator, the receipt of a pro forma brief can be frustrating. The mediator gains little insight into what is driving the dispute. In the result, the mediator walks in “cold” to the mediation room without the benefit of being able to zero in quickly on what are the hurdles to the making of a good deal. The mediator often must await the caucus to learn what the “real” dispute is all about. All of this makes the mediation process inefficient and encourages the exchange of “false” or positional offers that are intended to feel out the other side rather than focus on the deal. Don’t make bald positional statements that mimic the pleadings. Instead, break down the case and provide the mediator and the other side with an analysis that speaks to the following: what are the material facts on which the parties can agree? What are the facts that are not agreed? Why has there been no agreement on these facts? What corroborative evidence is available or can be obtained? What inferences need to be drawn by the trier of fact? If you have an Expert report, include it in the brief and address its contents. Put the report of an opposing expert in the brief and tell the mediator what the experts agree on and what they don’t. What about damages? How are they calculated? Is an expert required? The real challenge in mediation is to determine the “value” of the chance that you are correct in your prediction of trial outcomes. The mediation process provides an opportunity to not only exchange offers, but to base these offers on a model of predictive trial outcomes. The parties can then evaluate whether the time, the money and the risk are worth it. The brief is an advocacy tool that should be used for this purpose. Don’t squander the opportunity to use it. 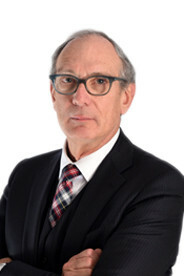 If you have any questions about this article, please do not hesitate to contact Gary Caplan at Mason Caplan Roti LLP.